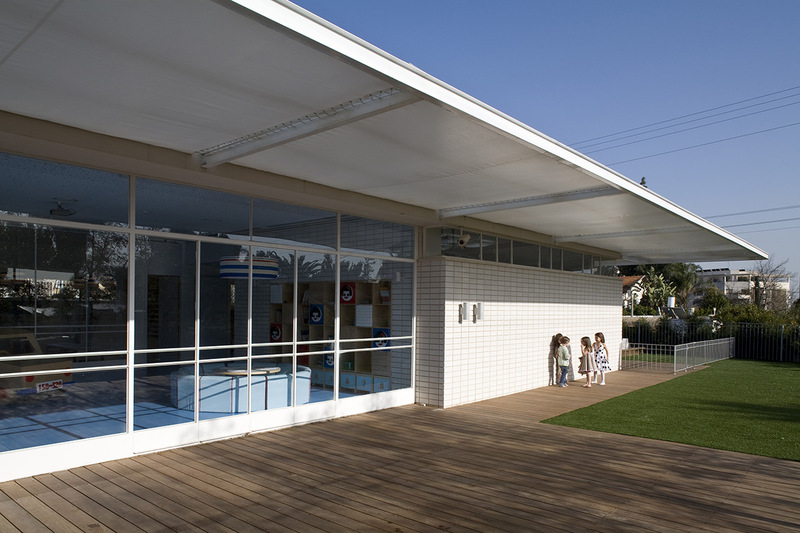 The project was created as a utopian preschool that promotes education for imaginative existence and a sensitivity to one’s surroundings. 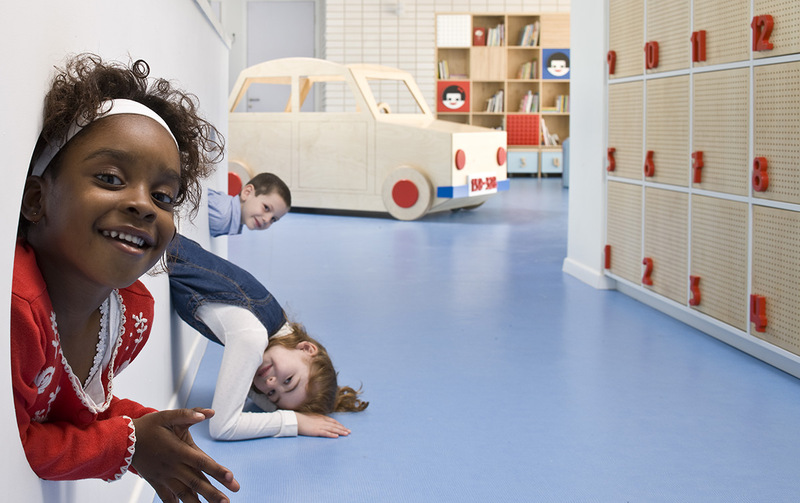 The Kindergarten was designed to meet the 21st century requirements for originality and creativity. 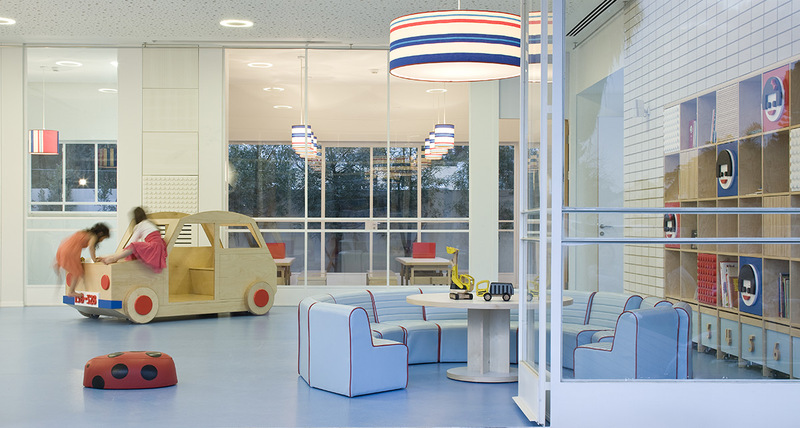 Created for 70 children and toddlers of varying ages, the children’s young age as well as their changing needs dictated the unique design. 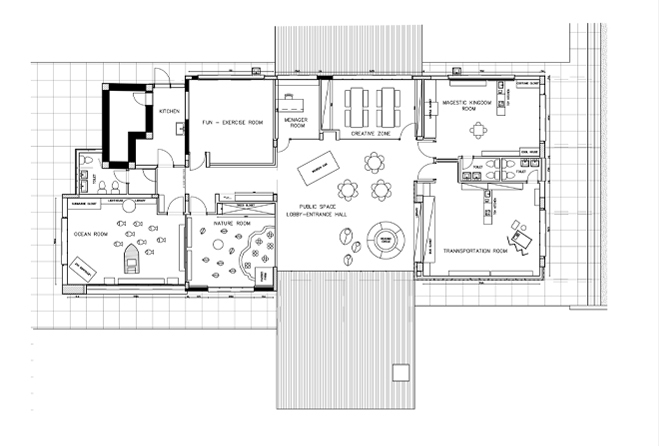 The 1950′s style of the original building served as the starting point for the interior design. The single-story structure is divided into four classrooms, each featuring a different theme: ocean, nature, transportation and majestic kingdom, in addition to gathering spaces such as a lobby/entrance hall, creative zone, exercise studio and library. 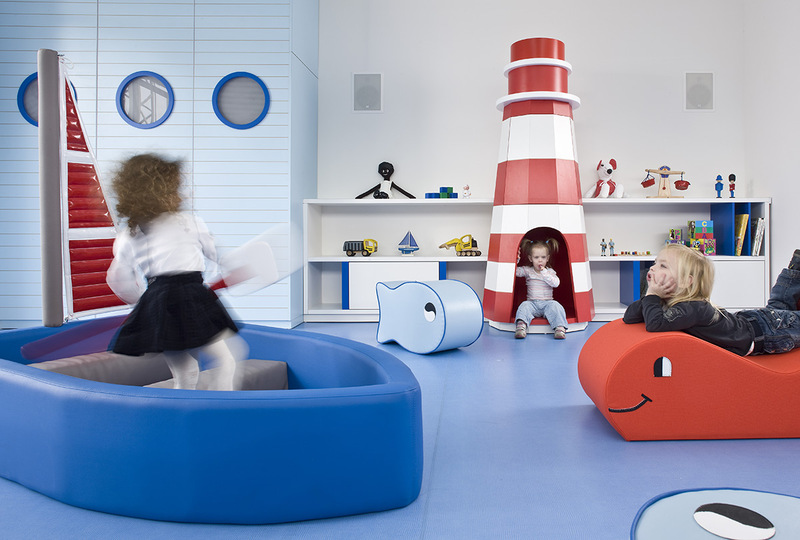 Within the interior there are custom-made cabinets, book shelves and large wooden interactive toys which all cater aesthetically and functionally to the children. The furniture has been constructed from solid wood, formica and plywood. The limited color palette together with a minimalist design language is meant to evoke happiness and boldness, while keeping the environment calm and focused, without an overload of stimuli. 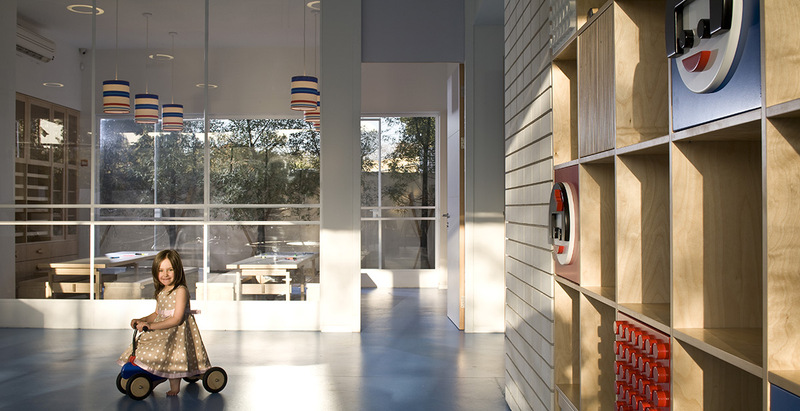 The space was developed to encourage children to be creative and sensitive, free and contained.